A top concern for most homeowners in Phoenix is to keep rodents and pests out of their homes. As much as you may keep your home clean, use pesticides, or set out traps, rodents can still penetrate the property via vents in your HVAC system. A small gap in your vents is an entryway for mice, insects, cockroaches, and other annoying pests. And when they enter your home, they get a perfect hiding spot and breeding ground where pesticides will not be able to reach them. The Arizona heat also causes more insects and rodents to remain active throughout the year. Air duct sealing is an effective way of keeping these annoying rodents and pests out of your home. During the sealing process, air ducts are insulated from the inside, covering up holes, leaks, and other vulnerable areas of your home. 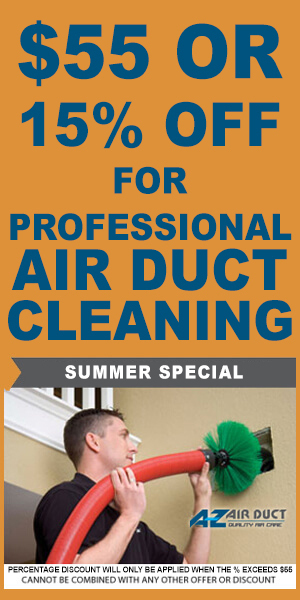 Duct sealing mainly involves identifying gaps, cracks, and other spaces in your vents so they can be sealed. At A-Z Air Duct, our contractors will typically begin by temporarily shutting off your HVAC unit and removing vent covers. They will then carefully inspect the vent and air duct system to identify any gaps and leaks. Vulnerable areas will be appropriately sealed from the inside to prevent any entryways that pests can use to gain access to the home. Your air duct system is a comfortable and convenient channel for rodents and insects to enter the home. They can sneak into gaps that are present in the air ducts and form nests and breeding grounds within these areas. Rodents such as mice also reproduce very quickly, and an infestation can begin within your walls. Methods such as pesticides and traps have limited potential for eliminating an infestation. Using poison can cause rodents to die in your vents and spread foul odors throughout the home. Air duct sealing controls pest populations by preventing them from accessing your vents from the outside. After air duct sealing, a series of traps can be laid out within the vents to capture any existing rodents that had already penetrated your property. 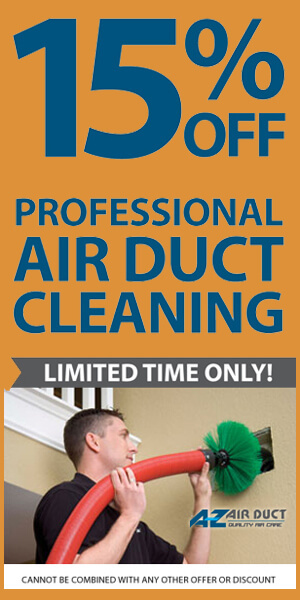 In addition to keeping rodents and pests out, air duct sealing benefits are widespread. It ensures comfort in the home through better air circulation, air quality, and efficiency of your HVAC unit. Homeowners in Phoenix can prevent pest and rodent infestations and improve the quality of their indoor air through air duct sealing. If you’re thinking of professional duct sealing, contact A-Z Air Duct today and we can help find a partner we trust that specializes in that area.